Playing With Division is an original composition composed by Callum Watson specifically for this ensemble. The work features a prominent opening theme proposing to fuse elements of Mozartian harmony with syncopated jazz harmony - based on perfect fourth intervals - complemented by a virtuosic middle section reminiscent of Phillip Glass. 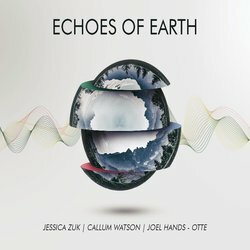 Other tracks by Jessica Zuk; Callum Watson; Joel Hands-Otte: One Note Sonata - Piano Trio No.1 "Awakening"